As you can see they are very similar in terms of their specs and features. If you can get the Bushnell at the offer price, I would be very tempted to give them a try. If not, then it may just come down to which body style and design you like best. To my preference, both have the advantage over standard single hinge bins in that the cut away open bridge or top hinge design leaves more of the barrels free to hold onto which is something I like. As to which design you like best, that will be up to your personal preference. 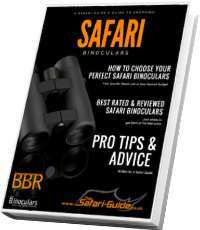 I hope that this has been of some help to and I’d love to know which binocular you eventually choose.